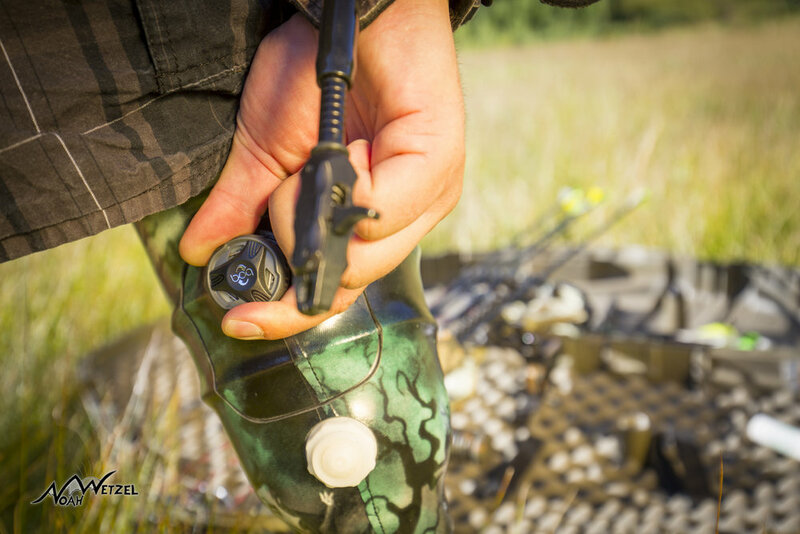 Kevin Mayberry utilizing the draw string feature on the Revo-Fit Lanyard, a system that pulls the limb securely into the socket. This past summer I was approached by Click Medical to execute a 3-day shoot to strengthen their image portfolio in all aspects, mainly their products being used in the field and detailed product features. 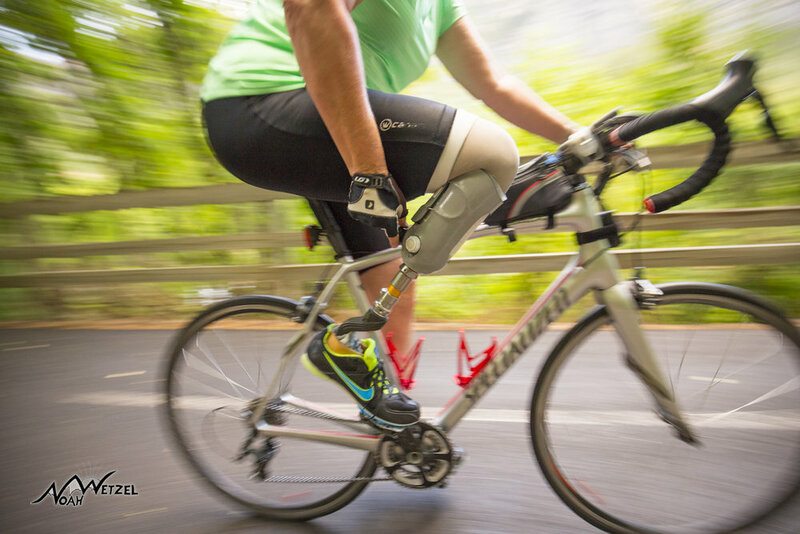 After being frustrated with the products on the market, founder Joe Mahon was inspired to create a new prosthetic system. 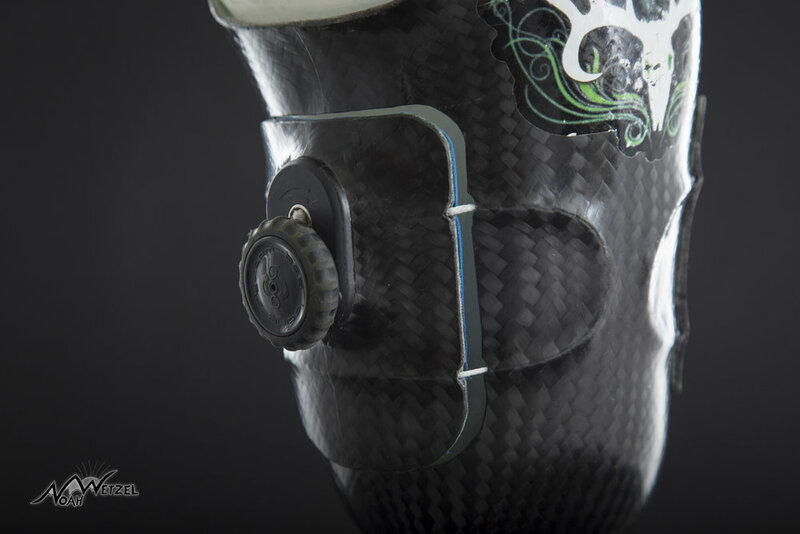 The biggest situation individuals face while using prosthetic equipment is the ability to adjust on the fly. Joe spent years salvaging parts from BOA systems (the adjustment dial found on sports equipment and much more) at garage sales and purchasing remaining inventory from sports equipment icons such as REI. With years of research and tinkering, he could combine the BOA system with his prosthetics, introducing a game changer for his patients around the country. From casts and sockets, to shoes and even a socket specifically designed for swimming, Click Medical simply makes daily routine tasks easier and life much more enjoyable. 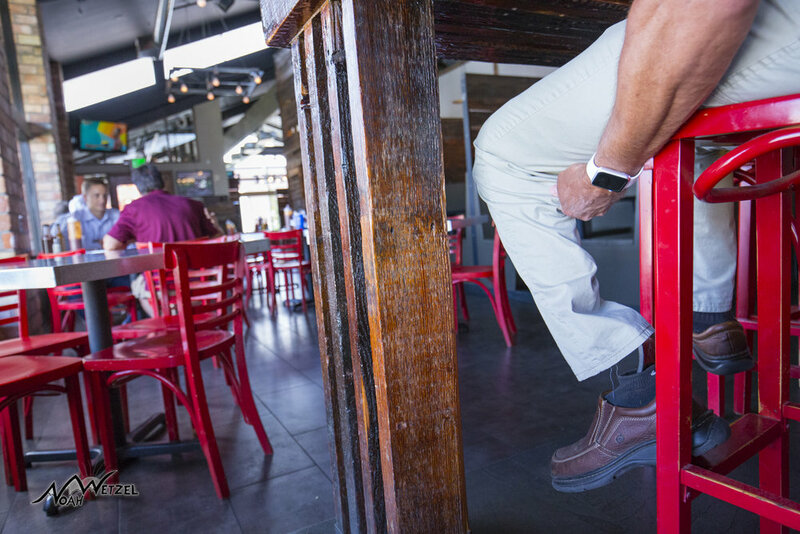 In the past, prosthetic patients would have to remove their socket to adjust the fit…and when you’re in a grocery store or almost anywhere, this can certainly cause unwanted attention. 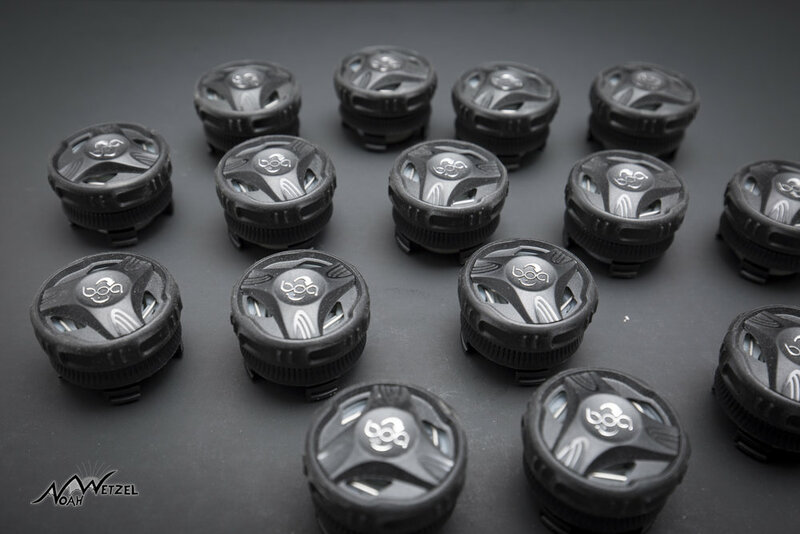 With their game changing products, individuals can adjust their sockets with a simple turn of a dial. 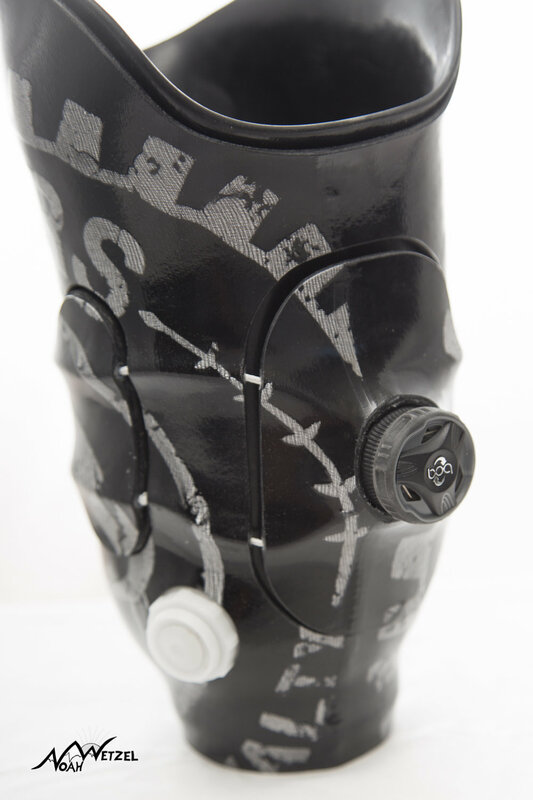 Tighten while hiking, loosen while driving…their sockets even come with custom graphics! Throughout the three-day shoot, I met some truly inspiring individuals and heard some crazy stories. They simply experienced situations and challenges that most people will never face in their life time…and I couldn’t help but ask myself if I would be strong enough mentally and physically to withstand similar circumstances! To say the least it was an eye-opening experience, and it was a blessing to spend those three-days documenting their passions and hobbies that they continued to enjoy! Here are a few photos from the shoot, and information behind the shot. Thank you for reading! Kevin Mayberry using the Revo-fit Lanyard. Two Strobes. One lighting up bike, the other located above Kevin's right shoulder. 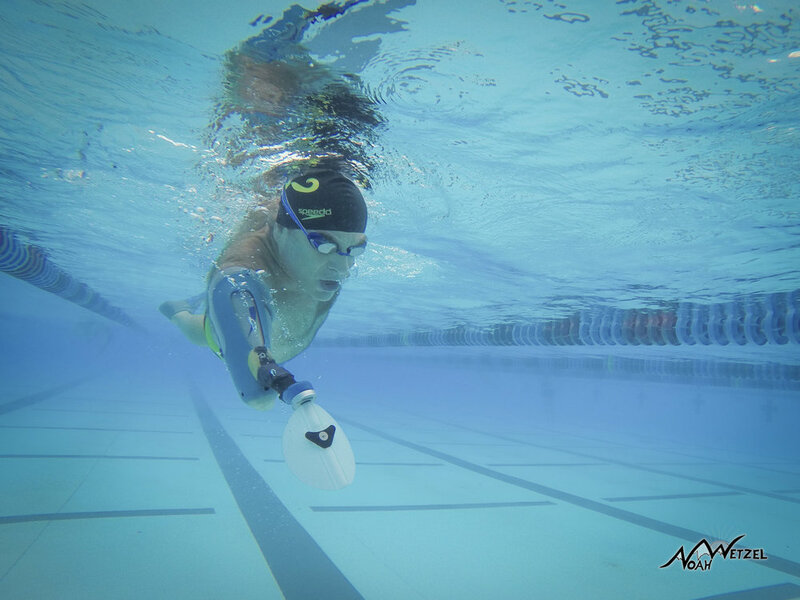 Peter Muller utilizing the specific swim arm. Simple GOPRO burst stills mode...swimming alongside him, multiple attempts. Kevin Mayberry. Revo-fit Lanyard. Two strobes at Sunset. One to the left lighting up bike, one to the right and above him lighting up Kevin and his socket. Kevin Mayberry demonstrating adjustments through pants. Poor mans make-shift studio. They wanted some detail updated product shots...two bedsheets (preferably not wrinkled haha), two pieces of posterboard. One Flash behind sheet, the other flash on the camera facing backwards into the other sheet to evenly spread the light around the product.